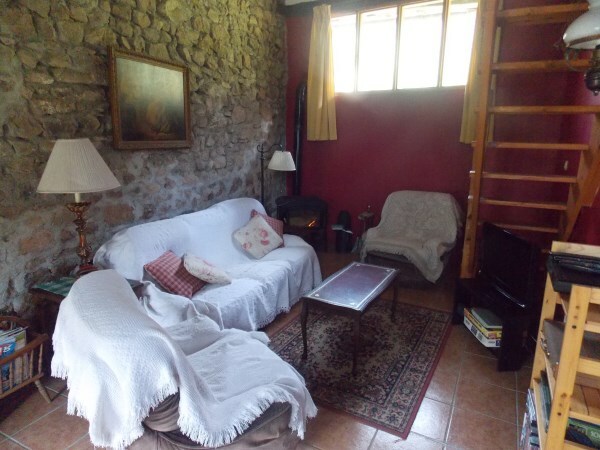 Gite Two has a pleasantly decorated and comfortable lounge with a wood burning stove, two sofas, 3 armchairs and a large bathroom under the mezzanine. The living room has a sofa bed and a mezzanine bedroom with a double bed. 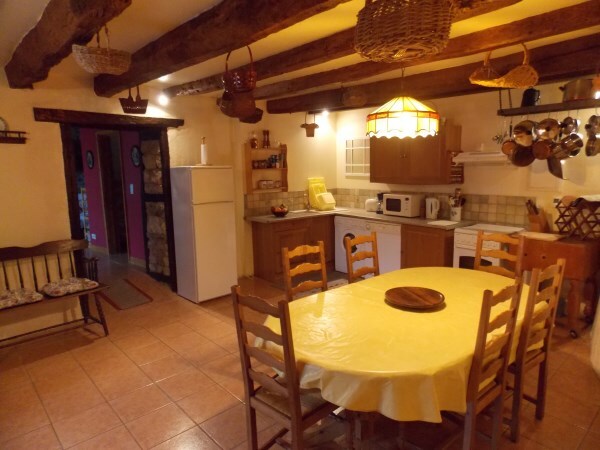 There is a large kitchen which is also fully equipped as per gite one with all your requirements for self catering and cooking for all. The upstairs has an ensuite bathroom and a large bedroom with a double bed plus there is a double futon bed. This room also benefits from a French window that looks over the valley with beautiful views. Outside, this gite has its own deck outside the kitchen with picnic table, chairs and coffee table plus BBQ.